If litigation arises from estate issues, our firm is equipped and experienced to handle all disputes, from the most complex to the most basic. Another advantage which our firm provides through its attorneys is coordination of advice with highly qualified attorneys in the areas of business planning and formation, real estate, and environmental issues. Our attorneys will take the time to understand your goals in order to help you work through the various options in estate planning. 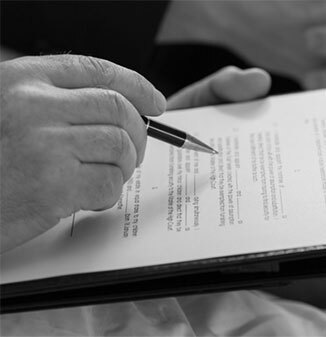 Whether you need help with a simple will preparation or you want to pass along your family business, our attorneys can and will address your legal needs. Call us now at (201) 947-4100 to schedule a free consultation. Important: The information on this website is for informational purposes only. Nothing on this website constitutes legal advice. If you have any questions about your particular legal rights or obligations, you should consult with an attorney. An attorney-client relationship is not created by you sending us any information or contacting us in some other way. However, if you contact us, we are happy to talk with you and then decide if we can help. Please be careful about sending personal information over the internet, since the security of information on the internet cannot be guaranteed.